TicketPrinting.com's Double Roll Tickets allow you to deposit one and keep the other. 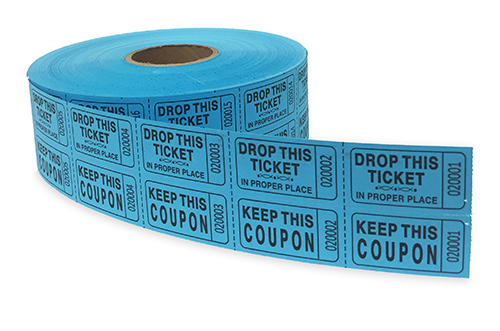 Double roll tickets are printed with consecutive numbers and labeled "TicketPrinting.com" (for security) and "Keep this coupon." Each roll contains 2000 tickets. Raise TONS of $$$ with roll tickets!